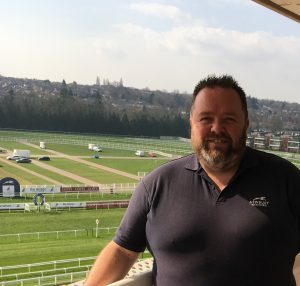 When did you start work at Newbury Racecourse? I started April 1 2011 – almost 8 years ago now. Before coming to Newbury, I was the Cellar Assistant at Twickenham Rugby Stadium. When I started here I was the Bars & Cellar Supervisor. What is your current job here? I am the Bars & Cellar Manager. I work both during the week and on racedays here at the course. What advice would you have for someone looking to get into a similar line of work? Have fun and enjoy the interaction with your customers. It is also important to keep up to date with current trends in the drinks industry as this will help when being asked to bring new things to the table. I would also say don’t be afraid to try something new as you never know what could come from it. I love organising the great days out for people such as the Beer Festival and the Gin Festival. It’s hard work but when it all comes together it’s a great feeling.